Oppo has added yet another smartphone to its popular F3 lineup. The Chinese company, today announced Oppo F3 Lite smartphone with entry-level specifications on paper. The Oppo F3 Lite is the stripped down version of the Oppo F3, and sports a similar design as the latter. The Oppo F3 Lite is spotted on the company’s official Vietnam website, whose price is also listed as $240 (approx. Rs. 15, 200). That said, the Oppo F3 Lite is a rebranded version of the Oppo A57 smartphone, which was launched in India in February 2017. The smartphone will be available in two colour options- black and gold. Talking about the specifications of the Oppo F3 Lite, it comes with a 5.2-inch HD display and features unimetal body design. The device measures 7.65 mm in thickness and weighs 147 grams. Internally, the device is powered by the Qualcomm Snapdragon 435 chipset, which is an octa-core chipset, mated with Adreno 505 GPU. The chipset is mated with 3GB of RAM and 32GB of internal storage, which can be expanded up to 256GB with a microSD card. The massive letdown with the Oppo F3 Lite is it runs dated Android 6.0.1 Marshmallow with the company’s own ColorOS 3.0 on top. Oppo also says that it has added modes such as glove touch and wet touch. This entire package is backed by a 2900mAh battery with no mentioning of fast charging support. Connectivity options in the device include 4G LTE, VoLTE, Wi-Fi, Bluetooth, Dual-SIM, and GPS. A micro USB port is present at the bottom of the phone, and it has sensors such as light sensor, gyroscope, and e-compass. 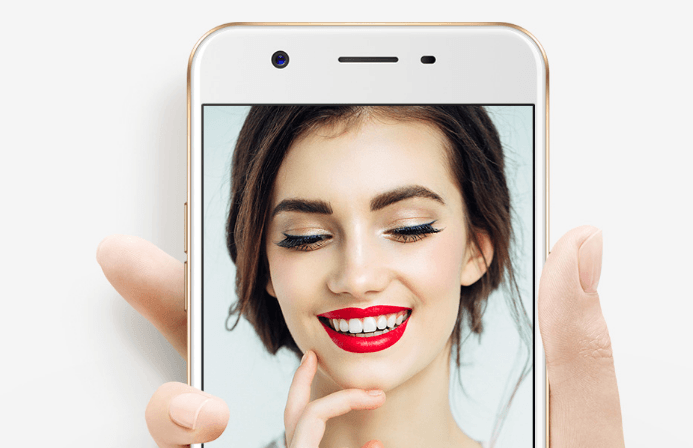 Lastly, coming to the cameras of the Oppo F3 Lite, it has a 16MP front-facing camera and a 13MP rear-facing camera. The 16MP selfie camera has a f/2.0 aperture and a selfie flash as well. The 13MP sensor has support f/2.2 aperture, PDAF, and LED flash. The camera application also offers a bokeh mode to capture images with shallow depth of field. Just compared this with Panasonic eluga Ray max,seems like 4000/- more only for having dual camera. Well I see it’s same like Redmi 4 phone with better camera quality and half battery life.. and almost double the price.. People will prefer to buy Moto G5 phone @ that price.